"Your feeble skills are no match for the power of the dark side." Set forth on a new, highly replayable campaign of sixteen missions that explore every level of the world, from its glistening halls of power to its grimy underworld alleys. You'll find three new heroes ready to join the Rebellion, aided by the talented Force user Ahsoka Tano. You'll maneuver through the crowded city, pursued and confronted by Imperials at every turn. And you'll find the Emperor isn't the only major player working against you. The former Sith, Maul, has sent a Clawdite Shapeshifter to pursue the artifact, and any face in the crowd might hide the Shapeshifter's true identity. Altogether, Heart of the Empire expands your campaign and skirmish games with three heroes and thirteen other figures, including the massive AT-DP, baton-wielding Riot Troopers, and twin-gunned Sentry Droids. 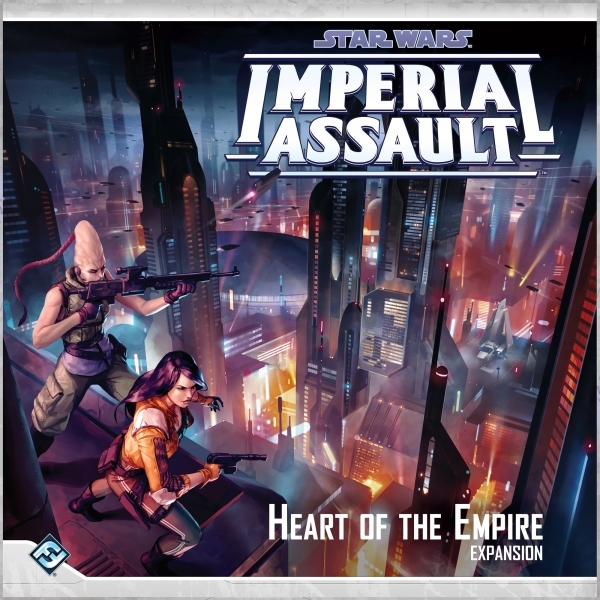 Coruscant comes to life with dozens of new map tiles and more than 130 cards. New energy shield and rubble tokens will throw a wrench in your opponent’s plans by modifying the battlefield, and new power tokens give you more control over your fate than ever before! Labyrinth (formerly The aMAZEing Labyrinth) has spawned a whole line of Labyrinth games. The game board has a set of tiles fixed solidly onto it; the remaining tiles that make up the labyrinth slide in and out of the rows created by the tiles that are locked in place. One tile always remains outside the labyrinth, and players take turns taking this extra tile and sliding it into a row of the labyrinth, moving all those tiles and pushing one out the other side of the board; this newly removed tile becomes the piece for the next player to add to the maze. 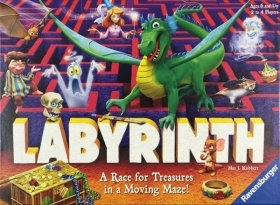 Players move around the shifting paths of the labyrinth in a race to collect various treasures. Whoever collects all of his treasures first and returns to his home space wins! Labyrinth is simple at first glance and an excellent puzzle-solving game for children; it can also be played by adults using more strategy and more of a cutthroat approach. 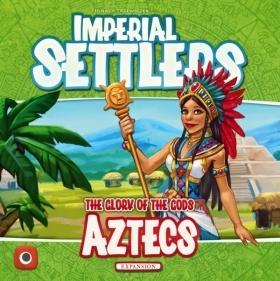 Imperial Settlers: Aztecs bring new rules, a new resource, and a sixth faction to the world of Imperial Settlers! Prayer actions and blessing tokens bring religion to the world, while the Aztecs build temples and organize festivals and ceremonies to gain favors and be blessed! With this expansion, all other factions will also be able to add religion and their own pantheon of gods to their Empires. This expansion includes a new faction board, the Aztecs faction deck, blessing tokens, and expansion cards for the original factions that complement the Aztecs abilities. In 1566, Jean Parisot de Valette, 49th Grand Master of the Order of Malta, laid the foundation for Valletta, the future capital of Malta. 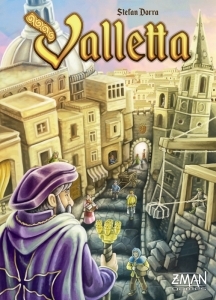 In Valletta, players take inspiration from Jean Parisot de Valette in order to procure raw materials; hire merchants, bricklayers and roofers; and build their own version of the magnificent capital, with its mighty bastions, baroque buildings, and a right-angled street network. Cultivate your contacts with the Order of Malta to improve your reputation. Players are supervised in their work by de Valette, who patrols his streets as a building inspector. When he reaches the end of his patrol, the game ends and a winner is determined.